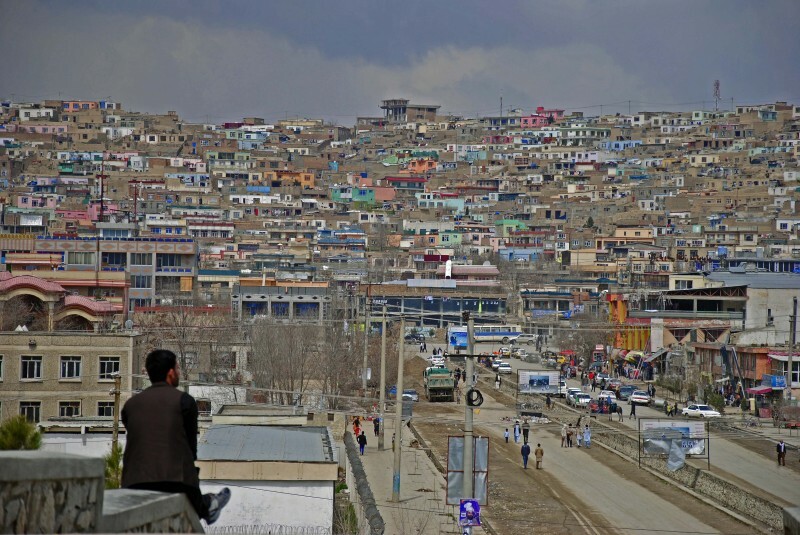 An eyeshot of Kabul, capital of Afghanistan, and the country's largest city with a population of about 3.3 million. 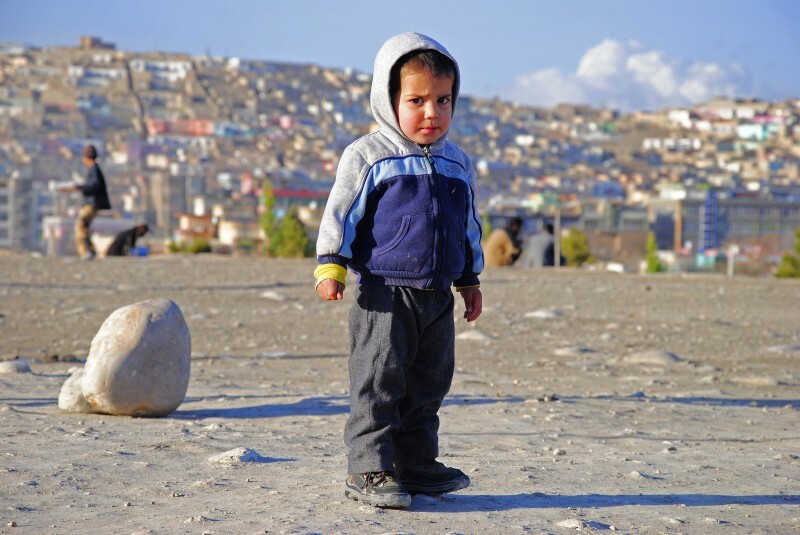 Kabul province is the only province in the country with a larger urban than rural population. Photo by Aaquib Khan. 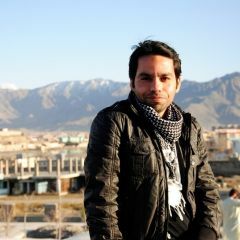 Indian photo-journalist Aaquib Khan arrived in the rapidly changing Afghan capital Kabul in 2014. 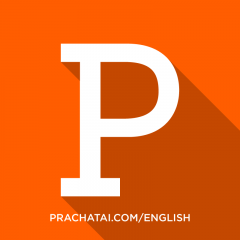 He shares some of his pictures and his insights with us in this post. 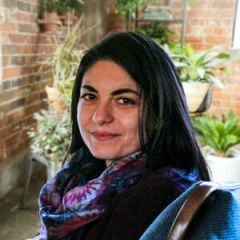 Afghanistan is widely seen as a country torn between bullets and religious bullies, a no woman’s land, a pre-modern place where neither young nor old can have hope for a better future. The image in my mind was no different, until I landed in the country's capital, Kabul last year. Though much of the Kabul's imagery conformed to my understanding of the country, there were many other moments that cameras rarely capture. Old and new, traditions and modernity, are locked in a struggle. Afghans, slowly and steadily, seem to be the winners. School kids hide their faces as many consider getting photographed a sin. Photo by Aaquib Khan. A life-size poster of the Hindi film ‘Jab Tak Hai Jaan’ showing Shah Rukh Khan and Katrina Kaif in one of Kabul’s music shops. New Indian films are quite the rage in the country. Turkish soap operas are also increasingly popular. Photo by Aaquib Khan. 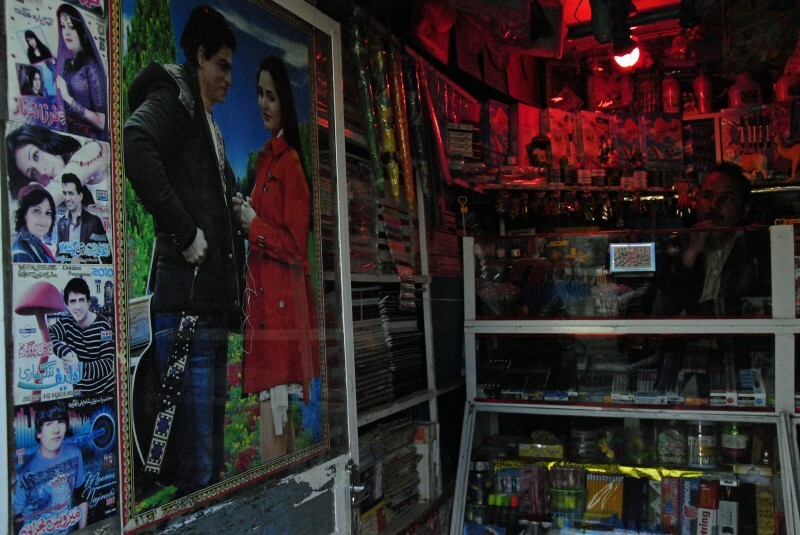 Indian movies and songs rule Kabul's music market, but JLo and Britney Spears are also quite famous among youth. Songs old and new can be heard in taxis, shops and on young men’s phones. Photo by Aaquib Khan. Posters of Indian film stars decorate the country's music shops. There is a mall named after Delhi’s famous Select City Walk. Alumni of Indian universities in the metropolises as well as small Indian towns bump into you on the fringes of crowded market places. 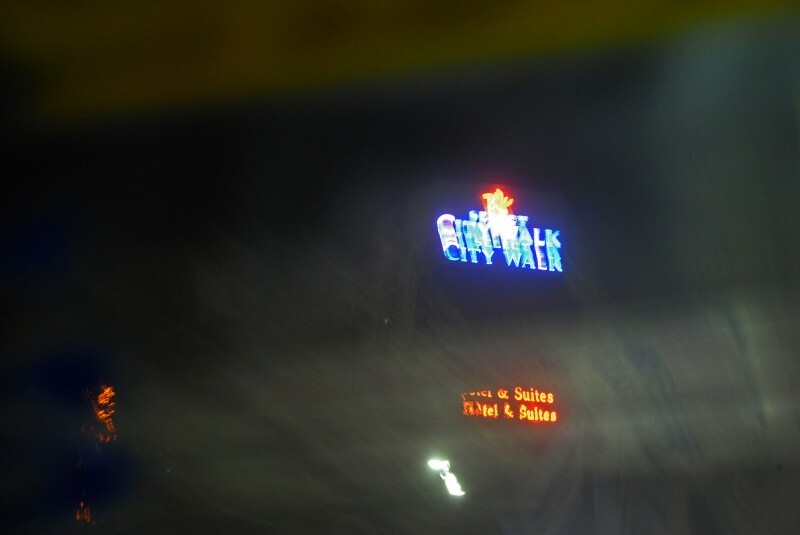 A mall in Kabul named ‘Select City Walk’. A number of shopping malls are growing up in the capital. Photo by Aaquib Khan. 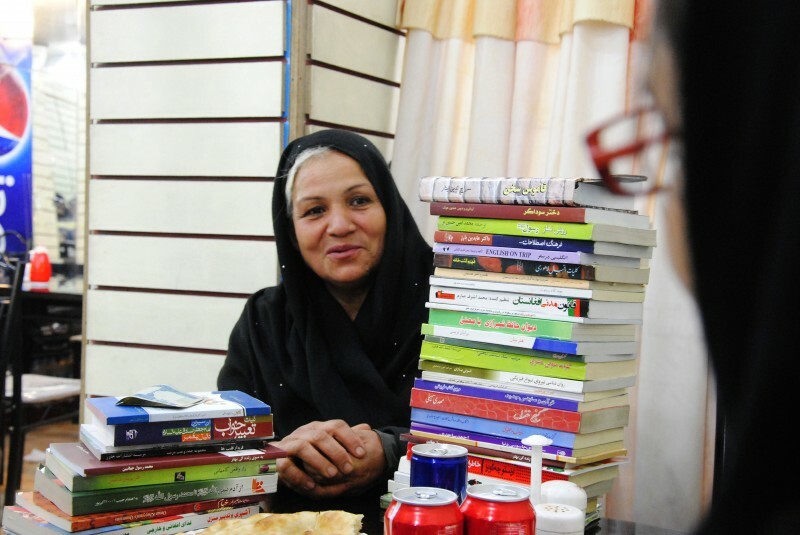 Dil Jan has been a bookseller on the streets of Kabul for many years. 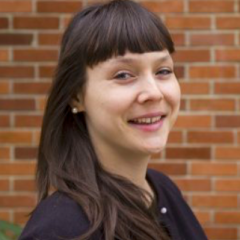 She believes that young Afghans must read, for themselves and for their nation. Photo by Aaquib Khan. Afghanistan is far from monolithic. 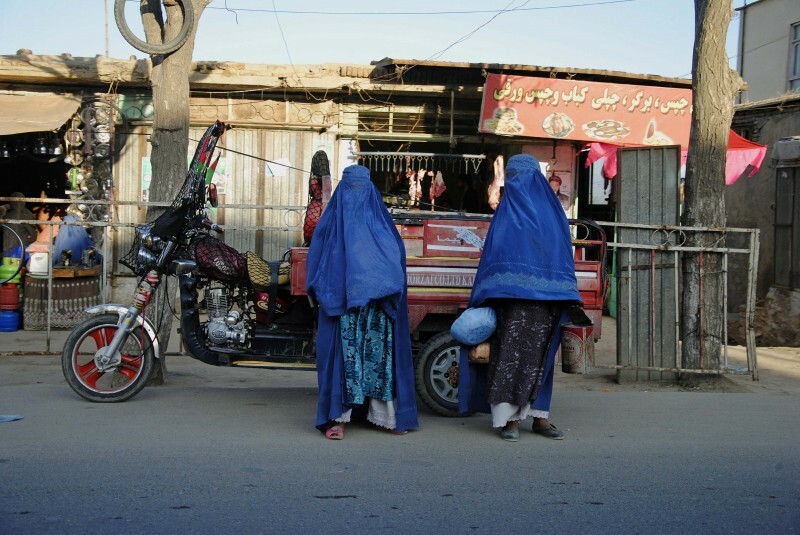 Walking beside burqa-clad women are schoolgirls strolling to school. Young women on their way to university, while CDs and DVDs of Bollywood and Hollywood movies can be heard playing in the background, a far cry from the blanket bans on entertainment of the Taliban period. 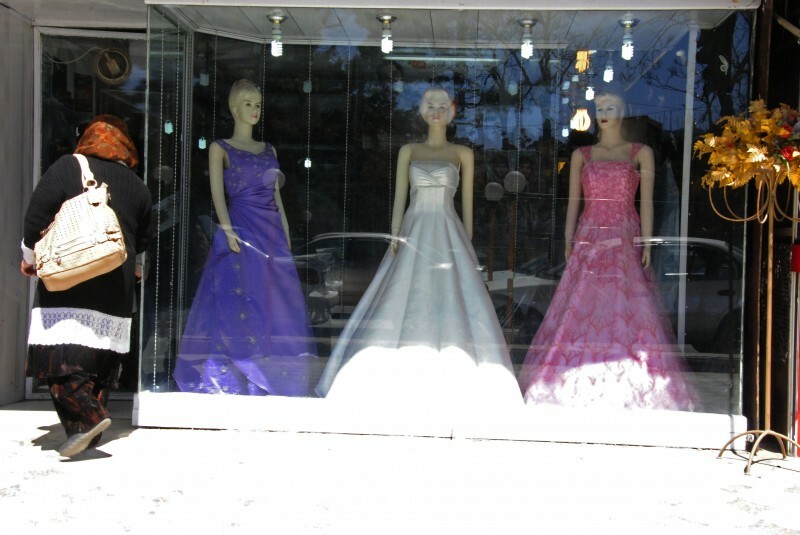 In the land where the Taliban brought down the Buddhist statues of Bamiyan, mannequins in Kabul's shop windows don extravagant bridal wears. Mannequins wear elegant wedding dresses. Standard wedding dresses cost from 15,000 Afghani ($215) to 20,000 Afghani ($340). Lavish wedding halls have mushroomed across Kabul in the last few years. Photo by Aaquib Khan. Then there are the competing mobile service provider advertisements, FM Radio stations, 24-hour TV Channels, numerous talk shows discussing women’s rights. There are hookah bars, where hookah and coffee is served. No women or alcohol, but plenty of young men dancing to loud music. There is a growing demand for uploading songs and videos on mobile phones and compact discs in Afghanistan. Many youth, and even religious old men, visit these shops to get songs of their choice uploaded. Photo by Aaquib Khan. 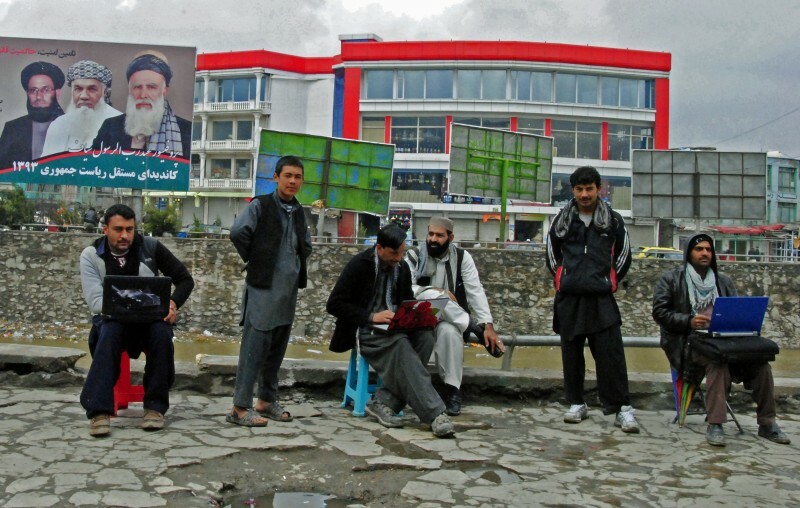 More than 200 gyms have opened since the Taliban’s fall. There are gyms for women, too. Photo by Aaquib Khan. Vehicles honk past you and leave you in a trail of dust. Afghans complain of increasing pollution in Kabul. Security personnel man the streets, helicopters hover over pedestrians. Amid the exuberance, there is apprehension: what will happen when the remnants of the US army finally withdraw? But young Afghans believe their country is gathering strength after decades of weakness and division. They shout a slogan which translates as: “One Afghanistan. 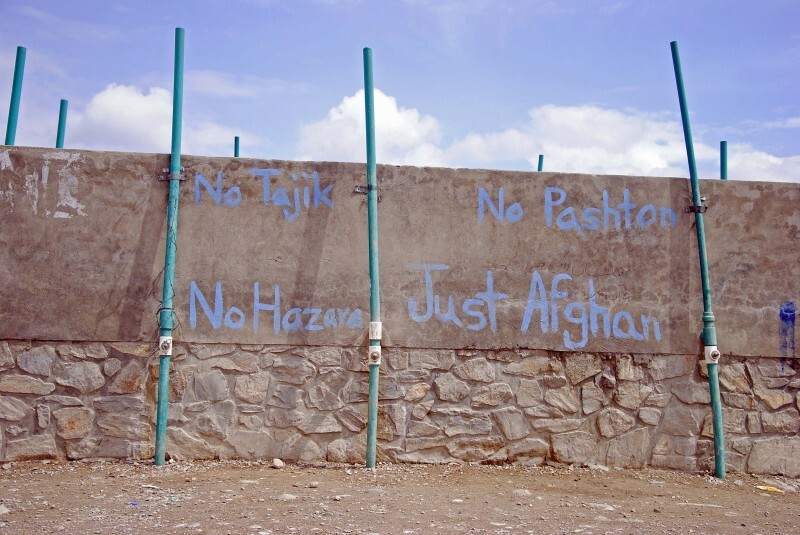 No Tajik, No Hazara, No Pashtun”. Afghanistan for Afghans! 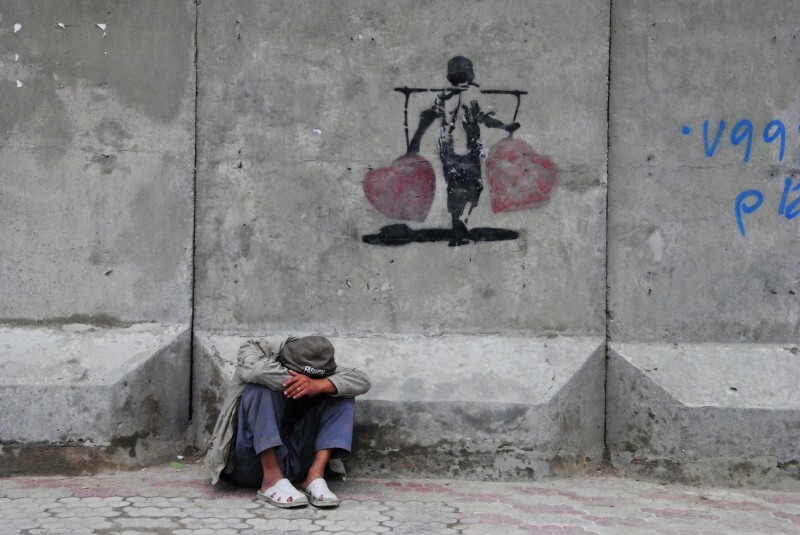 The graffiti calls for unity among Afghans who are traditionally divided along ethnic and linguistic lines. Photo by Aaquib Khan. 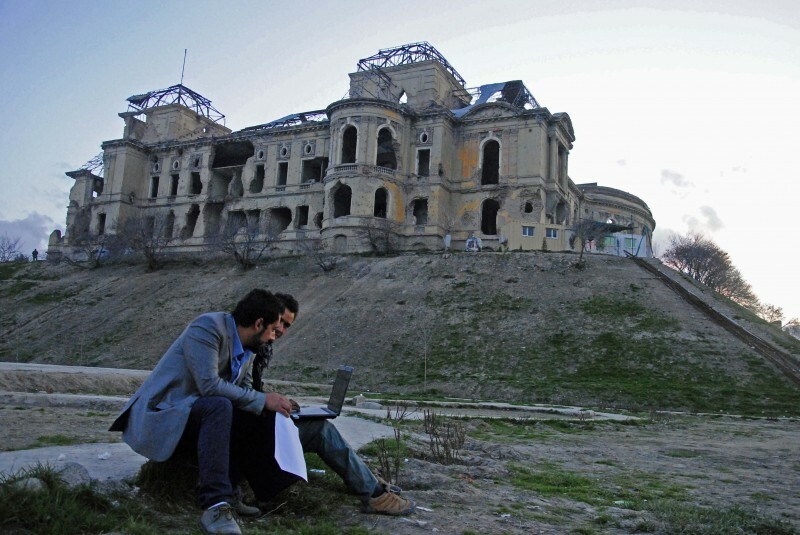 Youngsters surf the Internet near the ruined Darul Aman Palace. The palace, known to have braved many political upheavals in Kabul, was built in the 1930s. 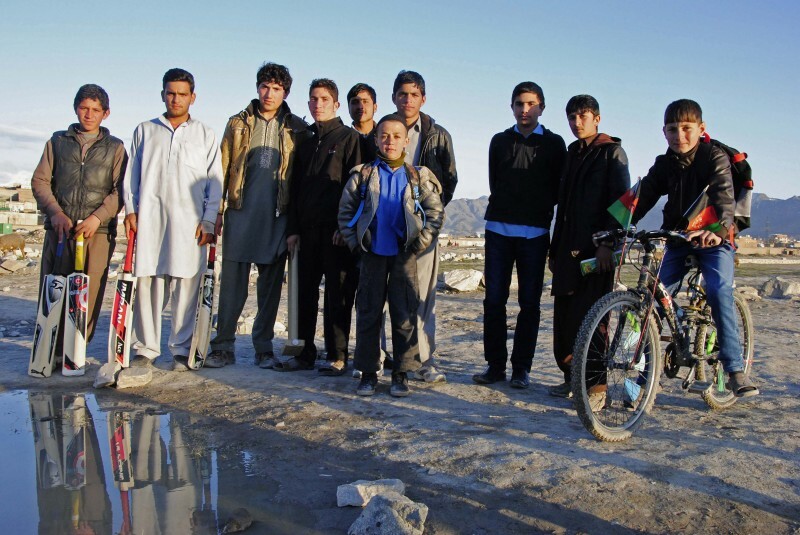 Only 5.5% of Afghan youths have access to internet with 20 million mobile phone users in the country in 2012. Technology played a role in connecting youth during last year's presidential elections. Photo by Aaquib Khan. 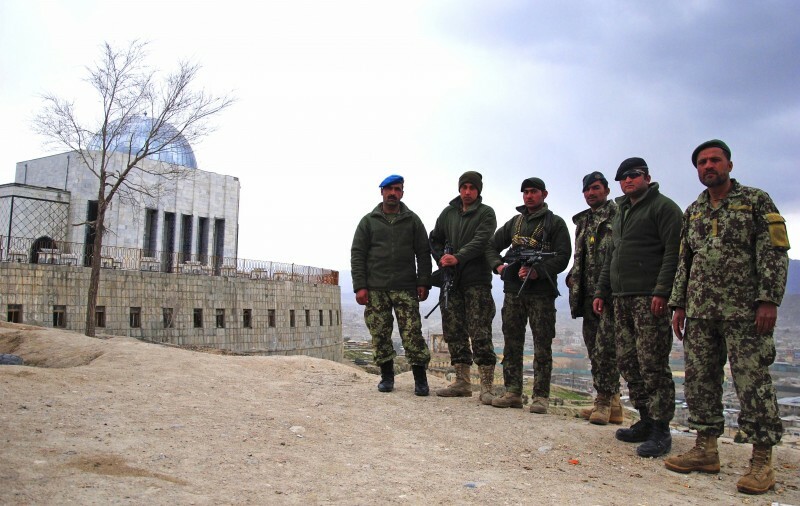 Afghan soldiers near the Nadir Shah tomb in Kabul. There are 350,000 soldiers in the country. But there are fears over their ability to take on the recalcitrant Taliban once foreign troops leave the country completely. Photo by Aaquib Khan. The burqa is still prevalent despite not being officially required as it was during the time of the Taliban. Roughly 28% of Afghanistan's parliament are women. Photo by Aaquib Khan. During the Taliban's rule, female enrollment in schools was zero, and the number of boys enrolled was a million. By 2012, as the World Bank estimates, 7.8 million are attending school, including about 2.9 million girls. The literacy rate of women in Afghanistan is around 36%. Photo by Aaquib Khan. 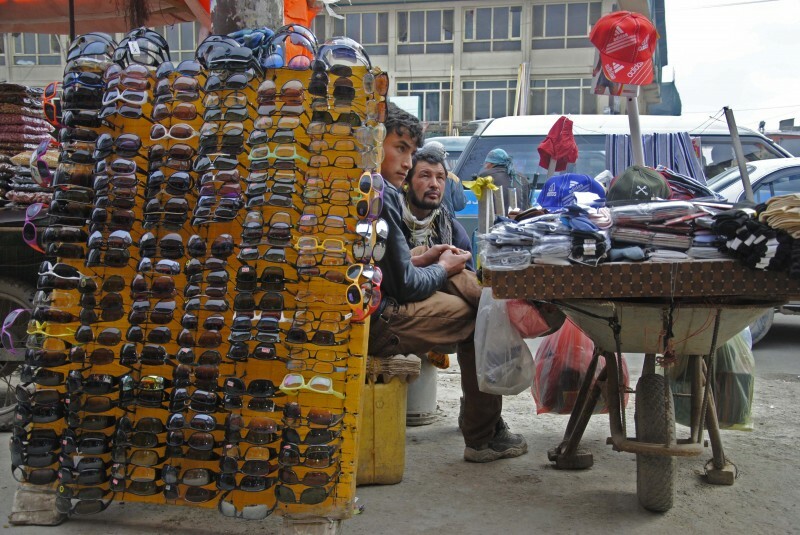 Afghan glasses-salesmen. Photo by Aaquib Khan. Afghans prefer wheat products over rice, unlike many people living in South Asia. The traditional ‘Naanbai’ are sold at roadside shops across the country. Naan-bakers make different kinds of Naanbai, sometimes two to three feet long with different designs. Photo by Aaquib Khan. In a country that has been a battlefield for so long, the main means of survival is still petty trading. 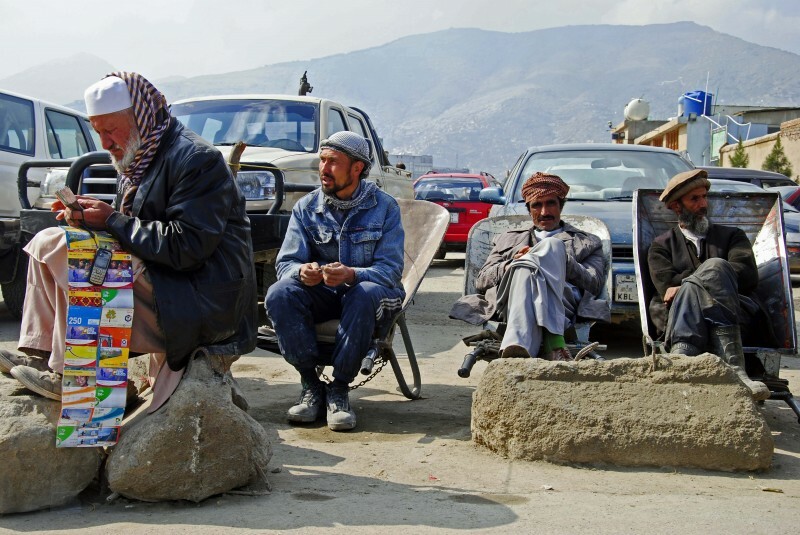 An old man with a skull cap sits at a makeshift currency exchange while others sit in sun. Demand for currency exchanges are high across Kabul due to the presence of foreigners working in the country. Photo by Aaquib Khan. 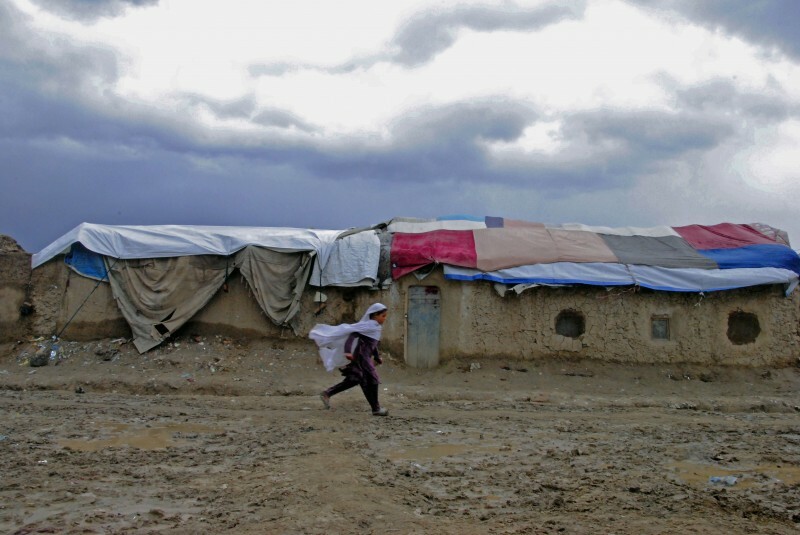 A girl runs to save herself from the rain in the biggest internally displaced persons (IDP) camp in Kabul. The IDP camp in Charahi Qambar has around 900 families with no school and only one mobile clinic served by four doctors. Most of those living here have migrated from the distant provinces of Helmand, Kandahar and Orzgan, which remain zones of conflict. There are 40 such camps around Kabul. Photo by Aaquib Khan. 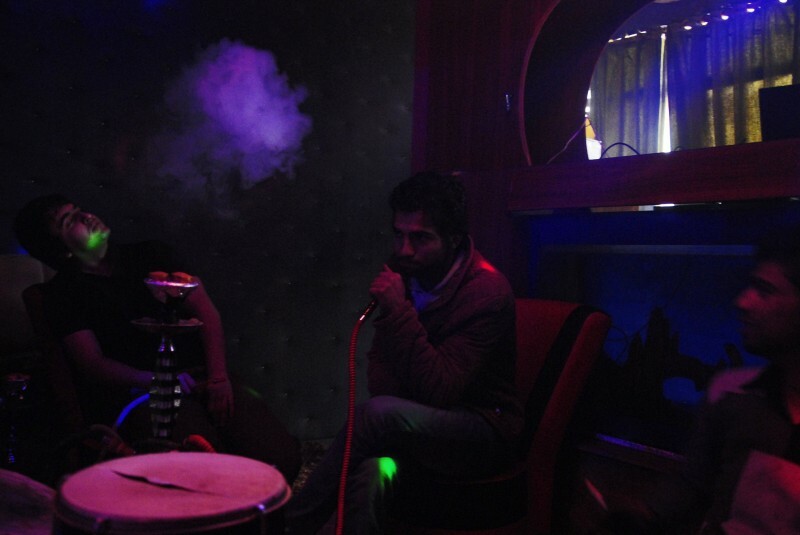 Restaurants and bars where young people sing and dance, smoke hookah, and sip coffee are growing more prevalent in Kabul. Singers – including female singers – are regular acts. 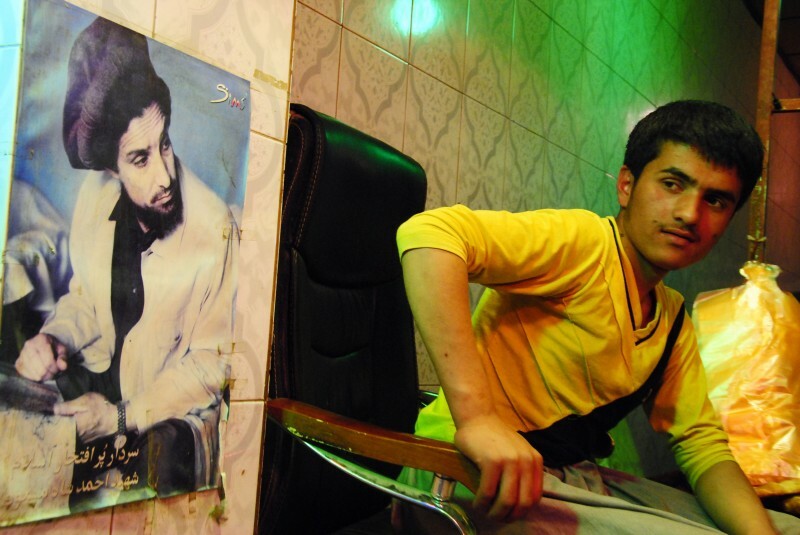 But recent police raids threaten Kabul’s Café culture. Photo by Aaquib Khan. A kebab seller in a busy Kabul market sells to evening passersby. 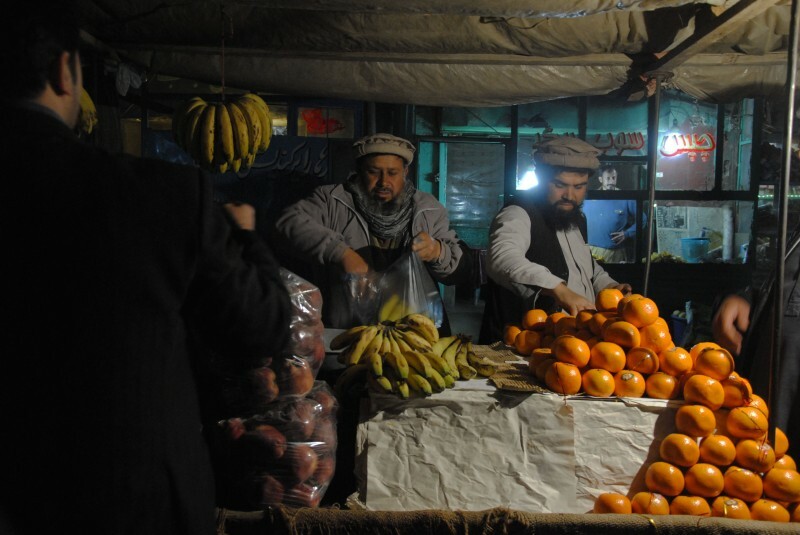 Security concerns are a drag on night-life in Kabul. Photo by Aaquib Khan. A young boy looks towards the picture of Ahmed Shah Masoud, a hero to many in Afghanistan, who fought against the Soviets and the Taliban. Masoud was assassinated in 2001 just before the 9/11 attacks on the US. Photo by Aaquib Khan. 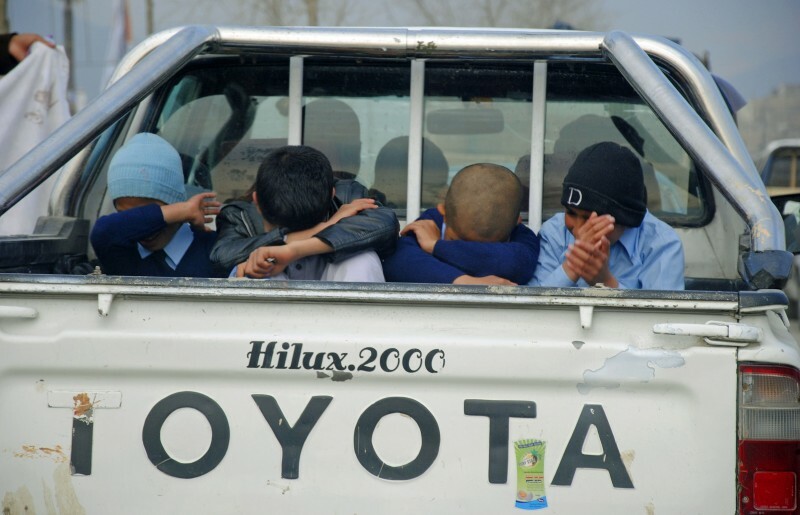 Roughly 1.6 million Afghans are addicted to drugs, of which 7% are children. Drug production has increased in many areas of Afghanistan since the US-led invasion in 2001. The country now produces about 90% of the world's opium. Photo by Aaquib Khan. 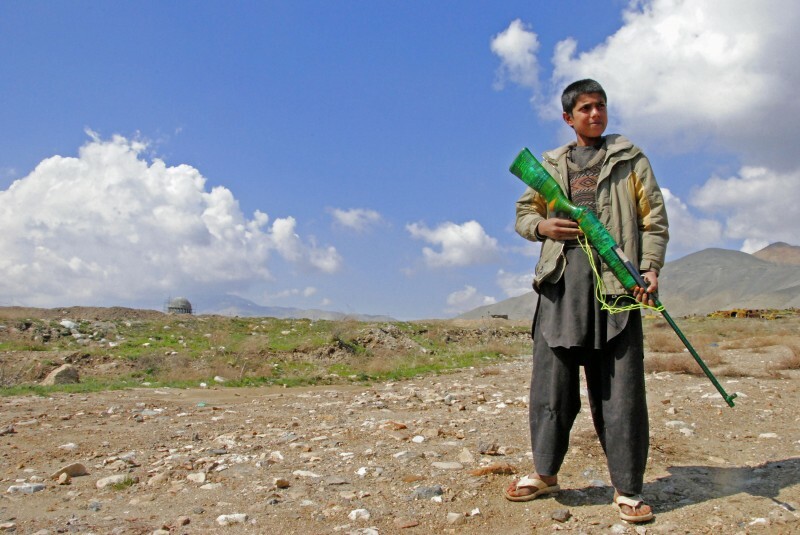 A young shepherd poses as a security guard with a toy gun on the outskirts of Kabul. United Nations (UN) Special Representative to Afghanistan, Ján Kubiš has stressed the need to prevent the recruitment of children as soldiers. Photo by Aaquib Khan. 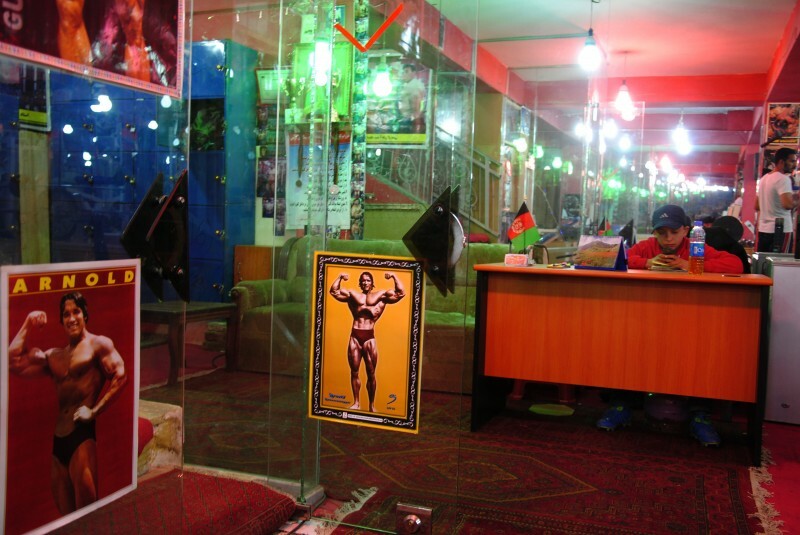 A Free Fight Club, the latest craze among the youngsters in Kabul. Young people go to such clubs to learn the techniques of martial arts. Championships provide good monetary rewards for the winners. Photo by Aaquib Khan. 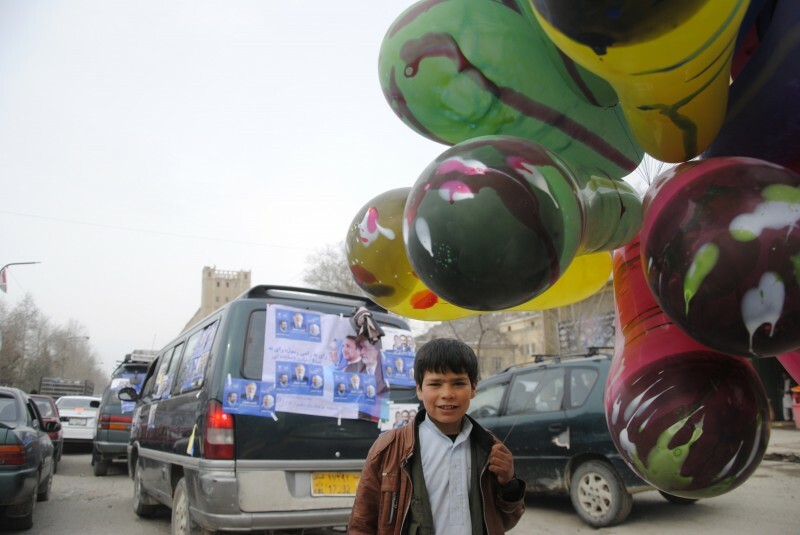 A boy sells colourful balloons. Emerging from the fog of war, children work the local markets to provide food for themselves and their families. Photo by Aaquib Khan. A fruit seller in a hurry to shut up shop. After opium, fruits and nuts are the second most exported item from Afghanistan. Photo by Aaquib Khan. A kid looking into my camera. Photo by Aaquib Khan. 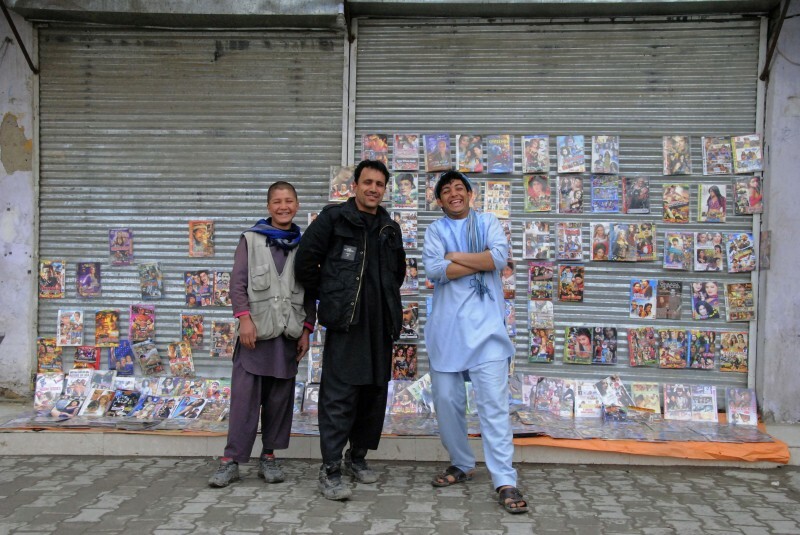 A postcard seller displays images of famous Afghans in Kabul. Photo by Aaquib Khan. Cricket is in the air! Over the last few years, the Afghan national cricket team have performed reasonably well, qualifying for this year's Cricket World Cup. Photo by Aaquib Khan. 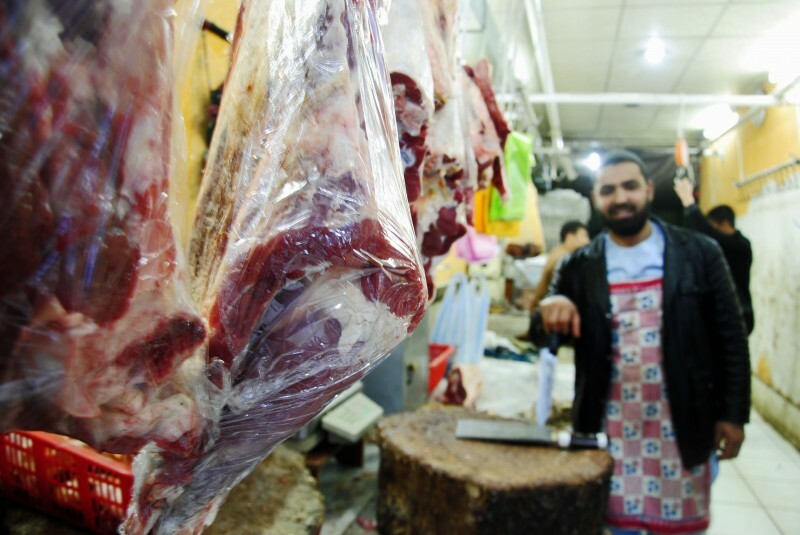 Afghanistan has witnessed a boom in meat production in last decade. 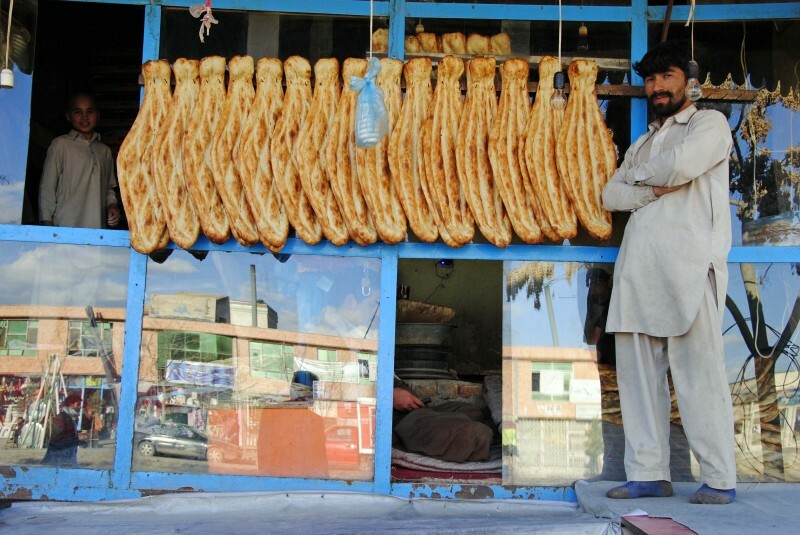 Many Afghans depend on meat producing businesses to earn a living. Photo by Aaquib Khan. 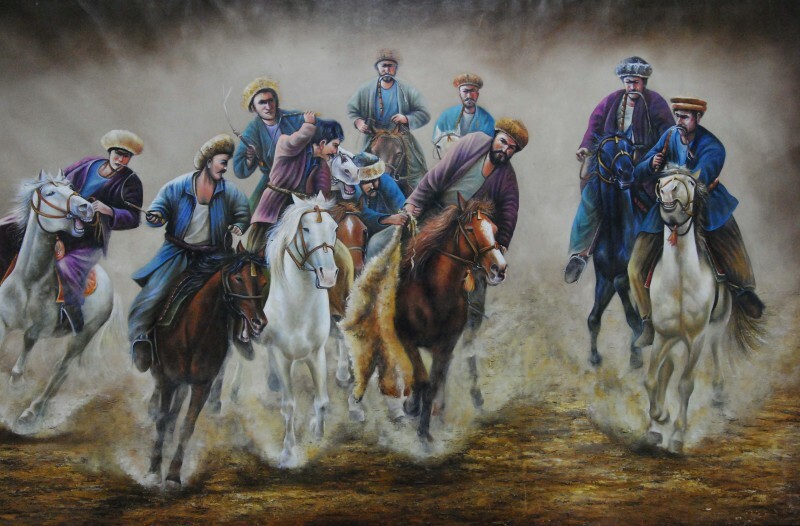 An oil painting depicting the famous game of Buzkashi played across Afghanistan and Central Asia with a goat carcass in place of a ball. Photo by Aaquib Khan. 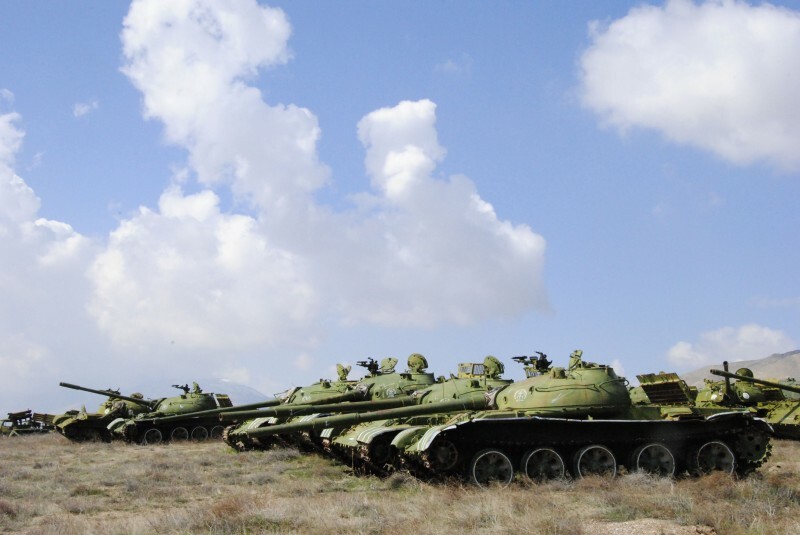 The graveyard of Russian tanks in the outskirts of Kabul, a symbol of Afghani powers of resistance. Photo by Aaquib Khan. We don’t usually consider dudes in their 40s to be youngsters, but it’s all good. Nice images. I could have done without the butcher shop. Thanks for appreciation. They were in their 20s, actually. 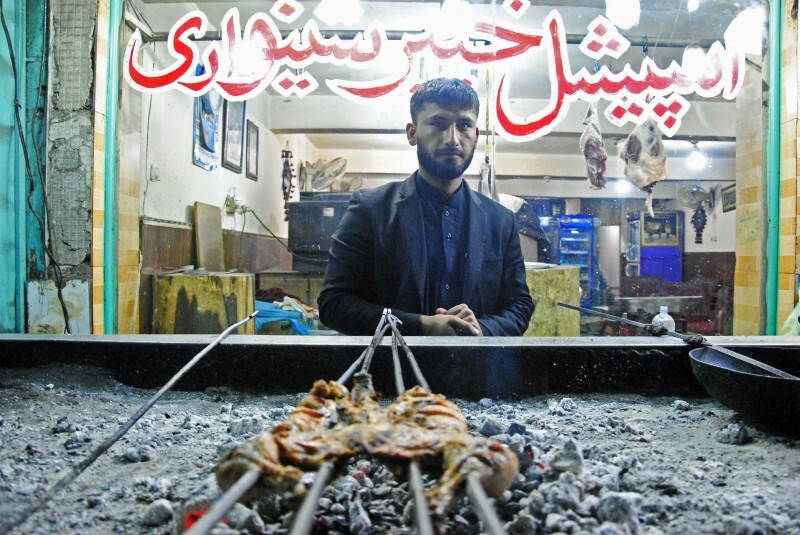 Afghanistan is incomplete without meat shops. thanks, Aaquib. for whatever it might possibly be worth, we generally use ‘youngster’ to describe children from about 5 years old until they are perhaps 14. after that it will annoy them immeasurably. it is really nice that you are moderating a civil discussion. killing animals in general is a bit of an issue for me and that was the reason i noted the unattractive in the midst of the exotic. it is far worse over here in that regard without doubt. Tashakur. We in the West feel like you, Donkeyslobber, but in Afghanistan, youth are considered anyone under 30. It makes sense in a place were age is respected. 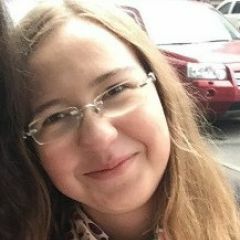 @donkeyslobber: I am happy that I was able to bring something new from there. 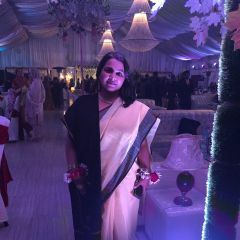 Tashakkur again for your comments. 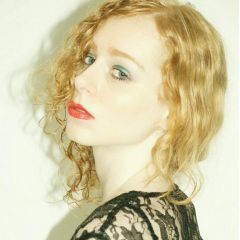 @Peggy Kelsey: It’s very true about age factor, almost in all over Asia. I think this phenomenon is related to how we in the West measure everything in the short term, for example, in regards to budget cycles and election cycles, etc, while in Asia and in older cultures than ours, they take a long term view, one spanning centuries or even millennia. Both perspectives have their strong points and I think a balance is most effective. That said, most of my compatriots can’t wrap their heads around how something that happened even 100 years ago is relevant today. ‘youth’ is used differently from ‘youngsters’ where i come from. not an issue! Regarding the age, I am not surprised when people misjudge the years, those who have a tough life often look older than their chronological age. 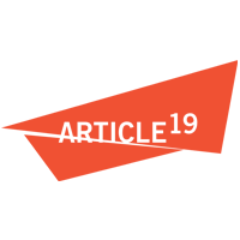 By the way, many young asylum seeker who arrive in Western countries without documents are wrongly assessed by authorities and considered as adults, though in fact they are under 18 and children. They are locked in detention centres with adults and miss opportunities deserved as children, partly because they look older. As a young man in his 20’s appears in his 40’s for some people, a 15-16 years old often looks well above 20. It is a serious problem, people’s life can be ruined by wrongly defined age. We don’t get to normally see pictures like these, that are unbiased, unfiltered and showing just the basic existence of the Afghans, in the mainstream media and corporate controlled news sites. So it’s very nice to get a chance to see the real every-day life of what’s going on in Afghanistan. More media outlets should distribute this photo essay to break the stereotypes about Afghans today. Thanks a lot for your kind words. People like you encouraged us to go beyond the limits and do something good and unbiased. When I landed there were two big attacks in Kabul, in between my stay I stuck twice in a danger situation, but I like that country, the people, there is many positive things going on there, but unfortunately mainstream media is still keep their eyes shut towards them, just tried to break that stereotype attitude. It’s just not easy to convince them for the camera. Though I saw lots of women are working, girls are going to schools or Universities, but still its a conservative society. Stunning photographs, thank you very much for sharing. It seems Afghanistan is seeing a huge amount of cultural influence from India. I’m curious whether this is a new development, and how much of it is coming to Afghanistan by way of Pakistan, also heavily influenced by Indian pop-culture. Thanks for the appreciation. I am not an expert on Afghanistan, but I was quite surprised as an Indian there too, like the way they treat Indians. India is hugely involve in Afghanistan, the new parliament, hospitals, schools, roads, plants every where, every year thousands of Afghanis come to India for health issues, hundred of students come here for better education, indian Govt. provides fellowships to them. on the other hand, I met many Afghanis from all ages, they don’t like Pakistanis (not exaggerating) because they believe this is Pakistan which creates all the trouble in their country, and many incidents proved this theory. They also don’t like Iran, because after 9/11 those who left to Iran, most of them came with addiction of drugs. The present Govt.is though trying to improve their relation with Pakistan. Indian films are famous there since 70s I guess, many Afgahnis in Kabul can speak in Hindi/Urdu, its the influence of India and Pakistan too. Afghanistan is changing rapidly but it needs support from every corner of the world. Dear aaquib .. I just wanted to say thanks,for showing the real picture of Afghanistan.nice work ..keep it up.. 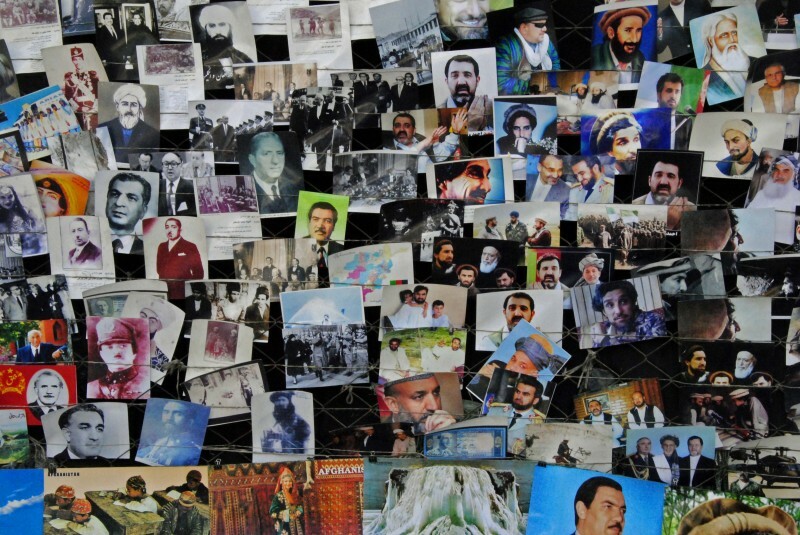 The photo feature by Aquib Khan is excellent and help us to know the other face of Afghanistan. Useless snapshots and cliches from some no-talent chump with a camera.